G-BDXJ is the 440th Boeing 747 and first flew on 19 March 1979. Named City of Birmingham, it was delivered to British Airways, which operated it for 22 years. In March 2002, it was sold to operator European Aviation Air Charter which used it for holiday charters and ad-hoc flights as well as leasing it out for Hajj flights in 2003 and 2004. The company ceased 747 operations at the end of 2004 and the aircraft was sold to Air Atlanta Europe, which used it for charter flights until it was retired in 2005. Its last flight was on 25 May 2005, from London Gatwick Airport to nearby Dunsfold Aerodrome in Surrey, England. The aircraft was bought by Aces High Limited, a company specialising in supplying aircraft for television and film work. After retirement, it was modified to be used as a prop in the James Bond movie Casino Royale and was painted with a fictional Hollywood registration, N88892, used also on a Boeing 727 in the movie Hero. In the movie, it appears as the “Skyfleet S570” a fictional prototype aeroplane which terrorists attempt to destroy. Among the modifications were the fitting of twin mock-up “B-52 style” engines on each of the inner engine pylons, with the outer ones instead holding mock-up external fuel tanks. After Casino Royale, G-BDXJ appeared in a Volkswagen commercial that shows it being towed by a Volkswagen Touareg. This stunt was also featured on the television programme Fifth Gear with presenter Tom Ford driving the Touareg. 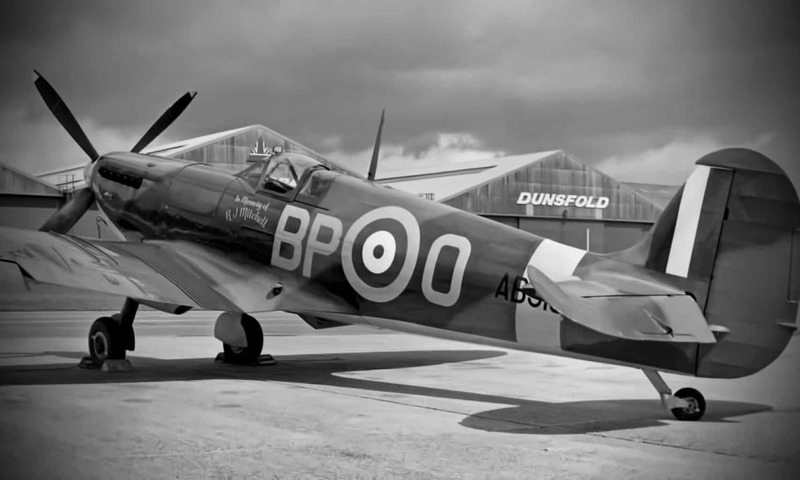 The BBC programme Top Gear is filmed at Dunsfold, and the aircraft can frequently be spotted in the background. In Top Gear Season 9, episode 5, it made an appearance being towed behind a JCB Fastrac tractor. In the British science-fiction TV series Primeval, the plane is the setting of an episode, when it comes under attack from a Giganotosaurus. G-BDXJ appears in the first episode of James May’s 20th Century, “Honey, I Shrunk the World”, with its new James Bond engine setup. The challenge in the grand finale of Scrapheap Challenge Season 10 was to construct a tug capable of towing a 747, specifically G-BDXJ. It was also used for many aircraft interior scenes in Come Fly with Me, starring Matt Lucas and David Walliams. The aircraft makes an appearance in the PlayStation 3 game Gran Turismo 5 on the “Top Gear Test Track” course. It is visible in Forza Motorsport 4 , 5, and 6 on the Top Gear test track. The aircraft was dressed and used as Air Force One in the 2016 motion picture London Has Fallen. The aircraft briefly appeared in the 2016 film The Infiltrator. “G-BDXJ Air Atlanta Europe Boeing 747-236B – cn 21831 / ln 440 – Planespotters.net”. planespotters.net. Retrieved 6 September 2008. “Casino Royale Car Chase in Airport – James Bond 007 mix with The Prodigy’s ‘Take Me to the Hospital'”. YouTube. 22 January 2011. Retrieved 25 March 2015. “Towing A Jumbo Jet In A VW Touareg! – Fifth Gear”. YouTube. 10 September 2007. Retrieved 25 March 2015. “Westlife – Home”. YouTube. 2 October 2009. Retrieved 25 March 2015. “The Dø – Despair, Hangover & Ecstasy”. YouTube. 20 October 2014. Retrieved 25 March 2015. Wikimedia Commons has media related to G-BDXJ (aircraft).